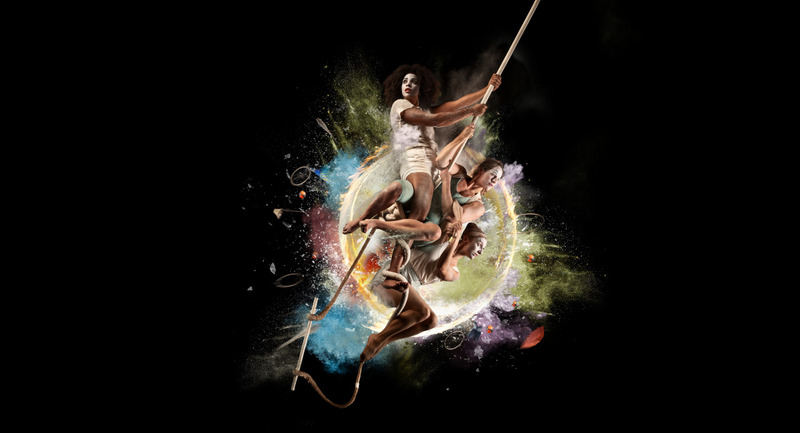 When I decided to go and see this, I was expecting to see some pretty impressive circus skills in a rather bizarre setting; what I was not anticipating was a fantastic use of set design, witty comedy and a level of coordination that, quite frankly, I was jealous of. The design of the set got me excited for the show even started; I’m a big fan of any steampunk-esque or scrap-based aesthetic, and The Exploded Circus nailed that idea. The strips of cloth, bike parts and various other circus tools suspended from the skeletal girders that made up the stage created a striking image that I won’t soon forget. But the real trump card of the set came when the performers started interacting with it. I’m not exaggerating when I say they rebuilt the entire stage multiple times, each transition appearing nonsensical only to come together at the last moment in a new and unique way. The first time they did this was amazing enough, but the show’s finale was on another level. Without giving away exactly what happened, it was a perfect testament both to the show’s narrative and the skill of the performers. I’ve not even started on the cast yet. When the inanimate objects of a show are that good, you know the performers are going to be something special. I can’t think of a single weak link; they all had their own unique skill sets and were wonderfully characterised, from Ruby Gaskell’s proud and imposing trapeze artist to Arielle Lauzon’s half-crazed acrobat with dreams of ringmaster-hood. The interactions between each performer, interspersed with casual but masterful circus tricks, were almost entirely non-verbal, but at the same time conveyed their relationships with excellent clarity. The show was designed in such a way that everyone was given their time to shine; Gaskell’s striking opening on the silks meant that the audience never forgot about her, and Lauzon’s display following the conclusion of her own story was both heartwarming and mesmerising. Lyn Scott’s juggling performances during each stage transition never failed to entertain; Jackie Le spent so much time on the Chinese hoop that she practically became the centrepiece of the set; Coral Dawson’s corde lisse display was arguably the best part of the show; and Alice Allart turned riding a bike into an art form. The story was simple enough to follow if a bit surreal. The characters’ circus has just exploded for the reason that’s never revealed, and the show details the survivors trying to adapt to the new life they have been thrust into. Throughout the show, the remaining performers slowly learn to overcome their antagonisms and individual desires for the spotlight to form a cohesive and spectacular circus group, quite literally rising from the ashes of their old lives at the end of the story. It’s easy to follow, heartwarming and doesn’t require in-depth analysis to understand, unlike some other contemporary pieces. The only issue I had with the performance was their use of communication; throughout most of the show the cast relied almost solely on physicality or single words, which I was fine with, but towards the end, they began to speak in full sentences. I understand that it was a display of how far the characters had come and how well they now worked together, but it took away some of the performance’s magic for me. But that’s only one shaky moment in an otherwise fantastic show. A lot of people dream of joining the circus when they’re younger; The Exploding Circus is sure to reignite that passion.